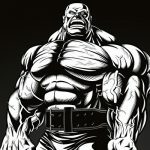 It was a very busy weekend for Arnold Strongman Australia winner Rob Kearney! It was an exciting weekend for Strongman athlete Rob Kearney as he won the Arnold Strongman Classic Australia, married his fiance Joey Alexio, and celebrated with a picture joined by Arnold Schwarzenegger who congratulated the couple for their big life event. “I think this is a first: winning the @arnoldsports Strongman and getting married in the same weekend. Congratulations guys. I was honored to celebrate with you,” wrote Schwarzenegger in his Twitter post. Rob Kearney came out to the public with his sexual preference in 2014 making him the firstly openly gay international Strongman competitor. But he’s received lots of support and never had any issues because of his sexual orientation. “I have been contacted by numerous World’s Strongest Man competitors expressing their support for me,” Kearney told the Huffington Post. “March 17th, 2019 is a day that i will never forget. Today is the day that I OFFICIALLY MARRIED MY BEST-FRIEND! @worlds_strongest_gay you will always have my heart and I cannot wait to see what the future has in store for us”. March 17th, 2019 is a day that i will never forget. Today is the day that I OFFICIALLY MARRIED MY BEST-FRIEND! @worlds_strongest_gay you will always have my heart and I cannot wait to see what the future has in store for us 💙 . . . A huge thank you to our celebrant @clairepatersoncelebrant, our videographers @de.videofilms, and photographer paul! Kearney’s win qualified him for the 2020 Arnold Strongman Classic in Columbus, Ohio due to his win in Australia. What an amazing weekend here at the @arnoldsportsau!! Took home 1st place and qualified for the @arnoldsports in Columbus next year! Thank you @schwarzenegger for the kind words and support this weekend. @worlds_gayest_strongman you are absolutely amazing and your help, love and support through this entire journey has been nothing short of amazing. Thank you also to @derekpoundstone for the coaching and the rest of my sponsors @consistency_breeds_growth @sbdapparel @w.o.w_straps for the continued support! 2019 is off to a great start!! Congrats to Rob Kearney and Joey Alexio!